I often search militaria in antique store or flea market, in there may find some nice thing at amazing low price. 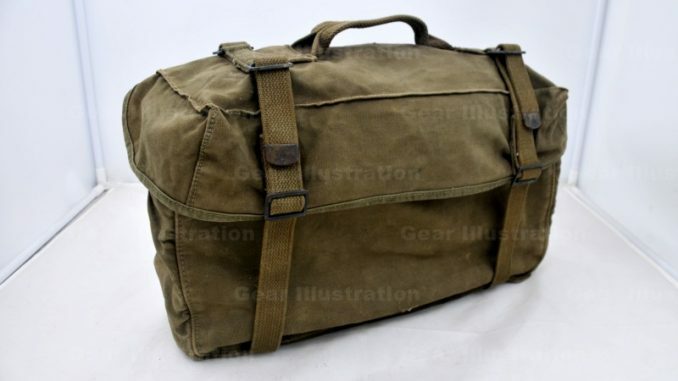 Recent days I found M-1945 cargo pack in a vintage store that sold bedding articles, cloth and hats made in 1980s and 1990s. Most of the goods in the store were China made, the cargo pack was the only thing imported and it’s price was as low as 160 RMB (about 24$). Judging by the stitches traces and pinholes, this cargo pack was modified from “M-1944” pattern. The storekeeper said she didn’t know much about it, she got it from AnShan City in Liaoning Province (border with North Korea) years ago. At that moment, I realized that it must be a booty captured from US Army in the Korean War, by People’s Volunteer Army (PVA). It’s new owner took it from North Korea, back to China, retired, then decades past, and finally, bought by me. This is not the most expensive thing I have, nor the oldest thing I have, but for a US militaria collector, and a veteran retired from People’s Liberation Army (PLA), it‘s the most meaningful thing to me.